Get ready for spring with a $21 free chip to play your favorite online slot machines at SlotoCash Casino! Redeem the bonus code SPRINGINTOLUCK to claim your free spins and win up to $350 if your account qualifies. Do not claim two no deposit bonuses in a row or you will not be allowed to cashout and you will get bonus blocked. Only one account is allowed per household. Good luck! 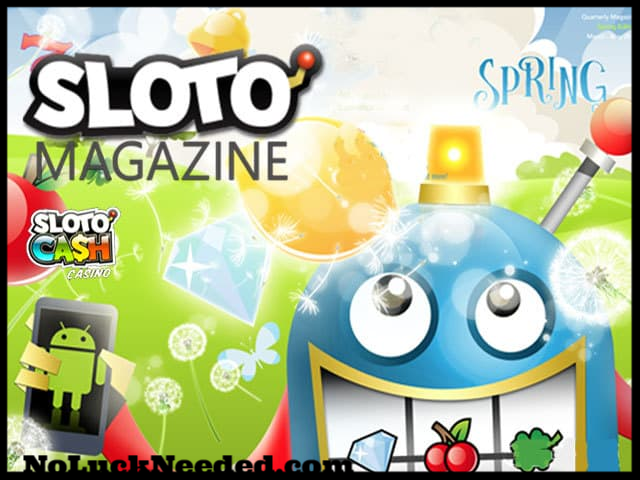 Claim Your $21 Free Chip from the SlotoCash Magazine! Valid for players with a $20+ deposit in March. 40X Wagering requirements. $500 Maximum Withdrawal' Loyalty bonus, do not claim two free bonuses in a row. Qualifications unknown. Expires 31 March 2019. Thanks to Hokulea808 for the code! I have the Sloto mag so I will take some pictures and get them posted ASAP!